I did a despicable, unforgiveable and truly stomach-churning thing last week. I ate an Indian takeaway. Yes siree. An authentic inauthentic Indian meal, glowing with oil and food colouring and resplendent in its own mediocrity. I know I must not try to justify myself, but we returned to an empty fridge from Christmas weekend only to find all shops and local restaurants closed apart from the neighbourhood Indian takeaway. Needless to say, the meal was disappointing. How an establishment can sell that food is beyond me. I ranted for days about talking to the elderly owner of the restaurant about his negative effect on the global view of Indian cuisine, but was held back, quite sensibly, by hubby. To bring authentic Indian food to busy people, who love eating it. This obviously involves lots of easy Indian cooking and general ranting. But I don’t want to lose sight of all the great support of “real” Indian food lovers in the blogosphere. So my New Years resolution is to draw on some of the fabulous recipes out there from Indian food blogs in addition to posting my own. Please email me recipes you like but look complicated at mallika@quickindiancooking.com. I will also keep posting tips on reducing cooking time and making life easier. I will, and this is a promise, also get better at doing my rounds on the blogosphere. So far, it’s been a treat to meet all you interesting foodies and I’m really excited at the prospect of upping the campaign a notch. 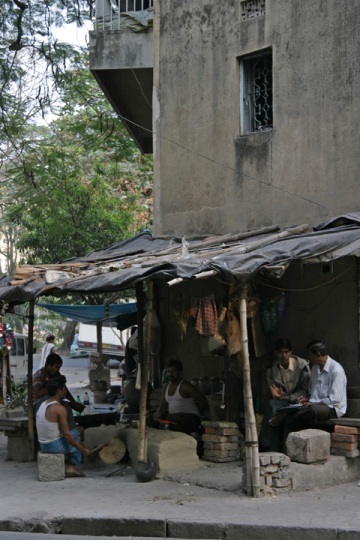 Note: an authentic Indian takeaway is pictured. Sorry about the bad food! I once ordered a take out from “Indian” in UK but it was really a Bangladeshi restaurant and food was so horrible with green,red and yellow oily rice to go with runny gravy!EWW! Hi there, I’ve only recently found your blog and with Christmas and New Year, I haven’t been doing a lot of cooking or blog reading – but, I’m really looking forward to trying out your recipes now life has calmed down a bit. I’m a big fan of Indian food and while there are a few good restaurants here in Sydney (Australia), most of the take-aways are pretty rubbish. I cook Indian quite a lot at home, but most of the things I make take time. I think my quickest dish is khichari, which I love, but my recipe takes a good 50 minutes from start to finish! So well done for your blog and I’m looking forward to reading your posts in 2007. Hi to you. IÂ´m looking forward to your recipies and hope you have recovered. IÂ´m allergic myself on all these very oily and colourful ingredients. So I am looking forward to get tips how to use more convenient and delicious stuff. If itÂ´s orignal Indian, please give a little note on how it may be substituted. So I hope to hear a lot from you in 2007. 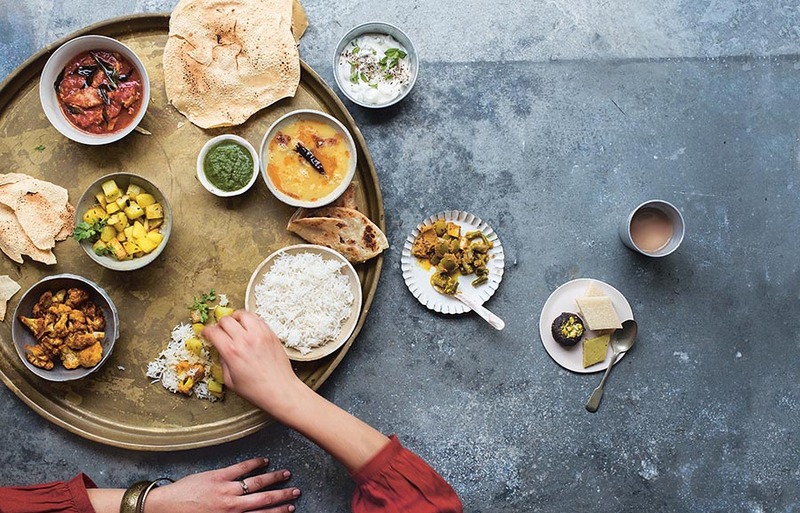 Sorry to hear about the takeout fiasco…..looking forward to some great tips from you, would also love to read about certain Indian restaurants that are a hit with you and hubby….am planning on another trip to UK sometime soon..it would be helpful. Thanks for stopping by my blog. Have tagged you for a meme, check it out if you’re interested. Sorry about the Indian takeout! I came across your website when I started searching through Google to find websites offering good cooking tips for novices, like me. I must say that I really have found a great website in quickindiancooking.com. Your recipes have really saved my life from surviving on pitas, durum and Belgian food in Brussels. Your simplest chicken curry recipe was an instant hit among my fellow software engineers who are marooned here for a long time, far away from Kolkata, and earned me a name as a good cook(the person who was surprised the most was my wife!!). Can you post other recipes on chicken, mutton, etc which are not based on yoghurt, bcos unlike UK, here in Belgium its very hard to find Indian spices,yoghurt etc and the language barrier is a big problem here. Anyways, thanks a lot for the great recipies posted in this website. Keep up the good work ………..
I’m definitely trying this chicken tikka masala balti!